Click on the images for a larger view. Trafficante Wallets measure 3.75" in height X 7.25" wide across the front when the wallet is closed. All wallets vary slightly in thickness and scale patterns. These wallets will only get better with age. 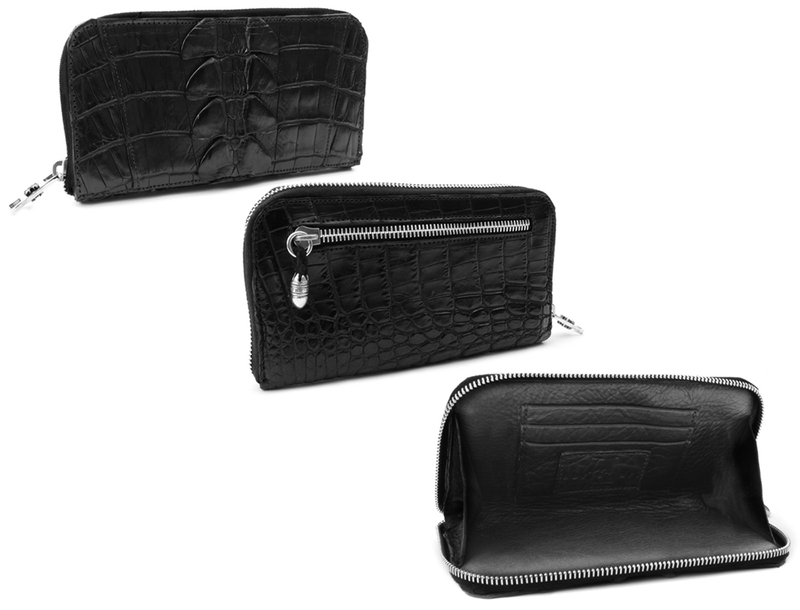 Handmade in the U.S.A. with real Crocodile Skins.